It started so high. There was fantastic, long waited for great news. I can't share it yet, because I haven't been given the official clearance, but soon. On Monday, we all woke up to the devastating, horrific shooting in Las Vegas. I have no words, because they mean nothing. I don't know what the answer is, but we need one. Now. And then...Tom Petty died. And then he didn't. And then he did again. In a day of so much loss, it was finally too much. I saw his concert thirty years ago, right after college, and it was one of the best shows I've ever been to. Tom Petty was a brilliant, thoughtful lyricist and it was clear that he loved to share his words with the world. When he came back to Seattle a few weeks ago, my own Thomas, who appreciates music more than anyone I know, asked if we could go. I sent him with his dad, bowing out myself because "I've seen him before". Now I regret that decision. But regrets don't get you anywhere, and Tom Petty would be the first to agree. 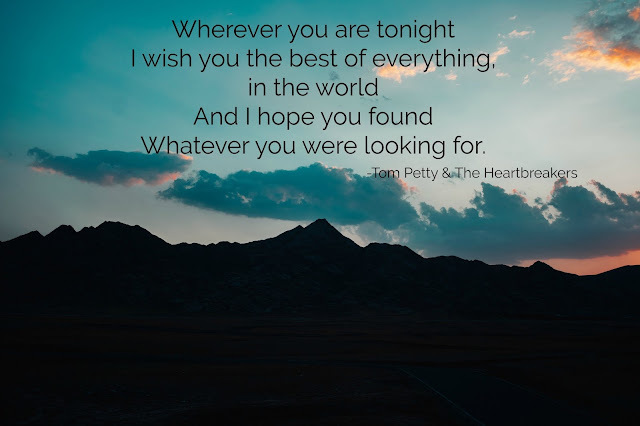 So instead I'll remember his music and his words, and be grateful that in a time of so much violence and uncertainty, there are also Tom Petty's, to help get us through. Rest well, Mr. Petty. And thank you. 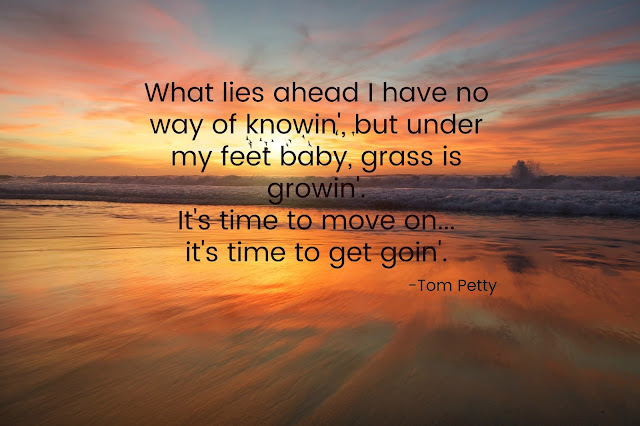 I love Tom Petty's music, I grew up with many of his songs like Refugee and Free Falling ... I was saddened to hear he had past away... there is so much chaos going on in the world right now, it's scary. I can't remember a time when there wasn't Tom Petty music. So sad. It was a bit of a horrific week. I'm glad at least you've gotten some good news to balance it out. Yes, can't wait to share. So sweet and so true, I loved Tom Petty, such a talented musician and such great songs. Tremendous loss. And so surprising. We'll miss him. Such a crazy week, indeed. Totally agree. An emotionally exhausting week. So much sadness created by one senseless and selfish (but obviously troubled) individual. I hope your good news brings you much joy. He came through here in July and I missed it. I thought we had time! You know how much I loved him. I don't know the song from your second meme, though! I'm about to go rock my world on YouTube. The Best of Everything - it's a good one!